We all love a good moan about how everything used to be so much better in the old days. 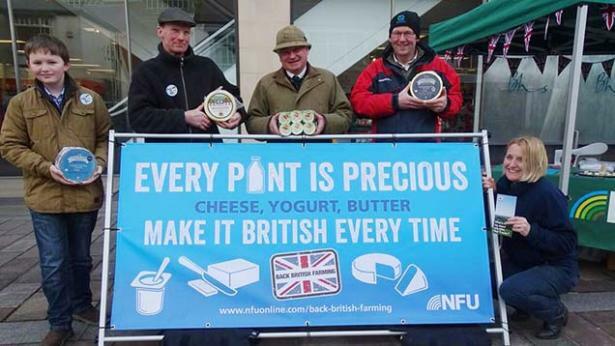 No one more so than farmers, who are currently up in arms about the falling price of milk. To keep their PR pitch simple, they heap most of the blame on price cutting by British supermarkets, when the reality is one of global supply exceeding demand. Milk production around the world has soared at the same time as Chinese demand growth has slowed and Russia has banned EU imports. To add to the misery, the natural reaction of many dairy farmers to lower prices is to buy more cows and increase output in order to maintain their income. Once upon a time farmers were sheltered from the harsh realities of global capitalism by the existence of the Milk Marketing Board: a statutory monopoly that guaranteed the same price to the dairyman with five cows halfway up a mountain in the Lake District and his counterpart with several hundred beasts on the Cheshire plain. In popular mythology this beneficent institution was abolished by the evil Thatcher, clearly not content with snatching milk from schoolchildren in the 1970s and closing all the coalmines in the 1980s. In reality the Board was abolished in 1994, four years after Mrs Thatcher left office. Still, some clearly see instructive parallels between those who feel a hereditary calling to milk cows and those communities where sons once followed their fathers down the pit to hew coal. 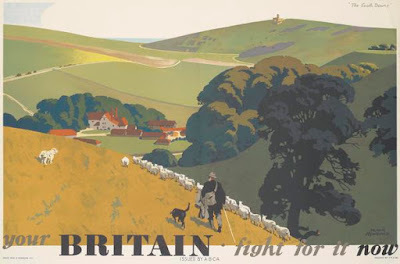 Only farmers naturally tend to get a better press because our idealised image of England tends to feature green fields, peacefully grazing cows, bee-filled hedgerows and farmhouses with roses around the door. Despite the best efforts of the Pitmen Painters, this has rather more general appeal than blackened terraces, winding gear and slag heaps. The British coal industry died because the stuff could be produced more cheaply elsewhere, and because of pressure from the global warming lobby to phase out its use. 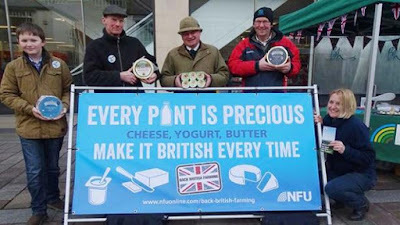 The same fate is unlikely to befall the British dairy industry so long as we consumers stubbornly insist on buying our milk fresh, rather than as longlife UHT. This makes it impossible to import the stuff in sufficient quantities even when the Channel Tunnel isn’t under siege from would-be migrants. It will help if we also read the small print on packets of butter, cheese and other dairy products, and prefer the British option; and ignore the calls of those who would rid us of flatulent cows to help save the planet. We have the freedom and the power to do this. 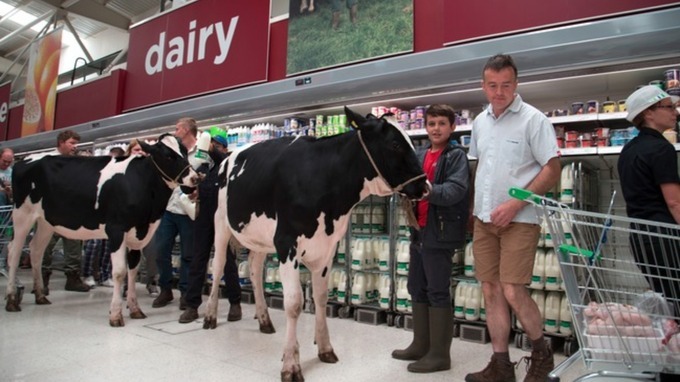 In Morrisons, we will soon also have the option of paying an extra 10p per litre (that’s 23p on the usual four pint bottle) to help out the farmers. It will be interesting to see how many take this up, because polls showing overwhelming support for dairy farmers seem to bear some parallels with those predicting a strong showing for Labour at the last election. In practice, we have a long-standing tendency to vote with our feet for the cheapest option, and to mark a cross for the safest and least radical one in the polling booth. Not so long ago we could have fresh milk delivered to our doorstep every day in re-usable containers on an ultra environmentally friendly zero emissions electric float. 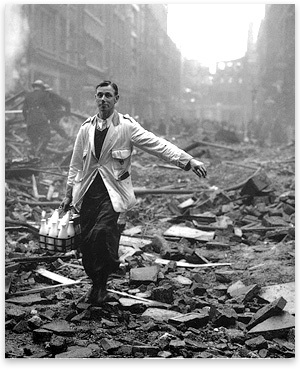 The milkman also performed a valuable social service in keeping an eye on the elderly and deterring crime. But most lost their jobs not because of the evil supermarkets but because you chose to buy your milk there in bulk, at a lower price. No one forced you to do that. Perhaps all this is about to change as Labour makes a headlong rush back to the 1980s under the widely predicted leadership of Jeremy Corbyn. A man who is definitely in favour of mining more coal, though not of actually burning it, and is the best chance we are likely to get of bringing back state monopolies for agricultural produce. 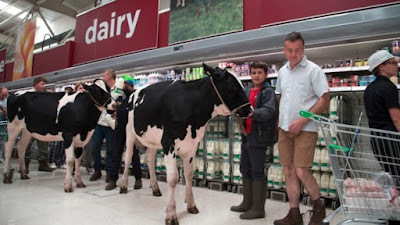 As traditionally conservative farmers blockade supermarket depots with their tractors, I wonder how many of them have also invested £3 to vote for the Labour leader most likely to turn the clock back?